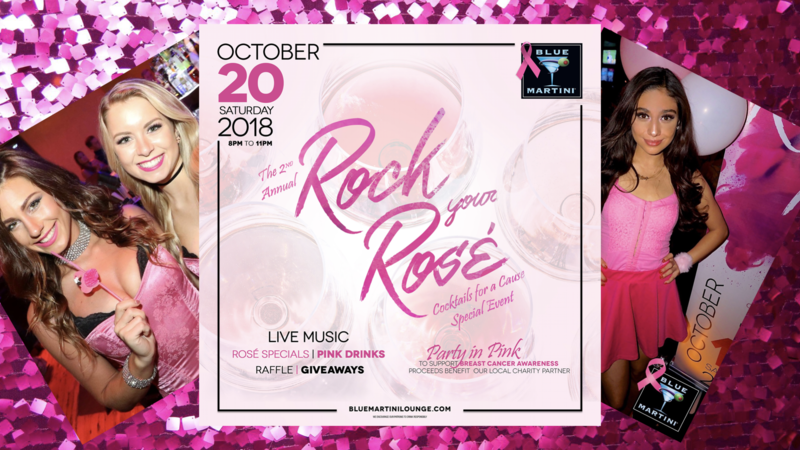 Join us at all Blue Martini locations during the month of October as “Blue Turns Pink” to support Breast Cancer Awareness. Join us for The 2nd Annual All Pink Event: Rock Your Rosé! – happening at all Blue Martini locations, Saturday, October 20th at 8pm! Enjoy Pink Specialty cocktails and Rosé specials All Night!? Dance the night away to the sounds of the best local and live entertainment and DJ. Donate to our local charity partner for a chance to win raffle prizes and giveaways! Enjoy our specialty Pink Drink, The Pink Paloma, all month long. A portion of the proceeds from every Pink Drink sold will be donated to our local charity partner. Join us at all Blue Martini locations for our Annual Halloween Events Happening at all locations! Friday, October 26th:Kick off Halloween Weekend with a Complimentary Martini Tasting, Happy Hour Specials and Live Entertainment! Table Reservations Encouraged. Saturday, October 27th: Haunted Happy Hour, Live Entertainment featuring live band and DJ, Costume Contest with cash prizes and Spooktacular Drink Specials! Table Reservations Encouraged. Wednesday, October 31st:Grab your #ghouls and join us as All Hallows Eve falls on Ladies Night! Haunted Happy Hour Specials, No Cover for Ladies, Half Off Drink Specials and Live Entertainment All Night! FOMO? 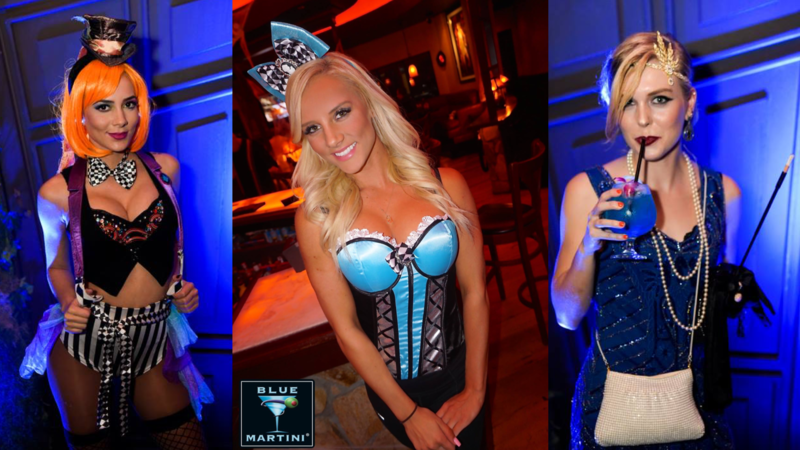 Follow us on Social Media to find a local Blue Martini Halloween Event near you!